Late Friday afternoon, August 15, 2014, the Food and Drug Administration (FDA) gave Biogen’s PlegridyTM (peginterferon beta-1a) a green light (i.e., approval) for use in relapsing forms of multiple sclerosis. This new drug, basically an improvement on two longtime gold standard medications, Avonex and Rebif, is a longer-acting formulation of interferon beta-1a that is given by subcutaneous (under the skin) injection every two weeks, compared to Rebif’s subcutaneous injections three days each week and Avonex’s intramuscular injection once weekly. Plegridy was approved in Europe on July 23, 2014 for treatment of relapsing-remitting MS (RRMS). It comes in a prefilled syringe or a new ready-to-use autoinjector called the Plegridy Pen. In July, Mat Hesser, Director of Biogen Idec’s Patient Center of Excellence, told me that Biogen will continue to produce Avonex but may spend less time actively promoting it. As Biogen now offers four of the eleven drugs approved for MS, in addition to Fampyra outside the US, they are undoubtedly the leading MS-focused pharmaceutical company serving the MS community worldwide. Visit PLEGRIDY.com for complete prescribing information. MS ActiveSource is available via phone (Monday-Friday 8:30 a.m. – 8:00 p.m. ET) at 1-800-456-2255 or via web at MSActiveSource.com. Nobody would argue that rheumatoid arthritis is associated with pain. In fact, pain, tenderness, and swelling of the joints are some of the primary indications of disease activity. Nobody likes to hurt and reducing pain and associated tissue damage are goals of RA treatment. Pain is often the brain’s way of telling us that something isn’t right; it can be an early warning signal of sorts. “Get your hands away from the fire before you seriously get burned!” The sensation of pain may indicate that we need to make a change in some way, e.g., physically, emotionally, spiritually. Pain may also be an indication that our body needs something it isn’t getting. For example, if I am not drinking enough water and begin to become dehydrated, I might get a headache, feel weak or dizzy, and have an upset stomach. And then there are times when nothing is wrong but you still feel pain, perhaps due to a malfunctioning nervous system that gets confused and sends misleading messages to/from the brain. Several factors can influence how we perceive pain, one such factor is vitamin D deficiency which is measured by the 25(OH)D test. A recent study found that vitamin D deficiency was associated with higher pain intensity levels and lower quality of life in patients with widespread pain when compared with a control group. Researchers also found that lower vitamin D levels correlated with abnormal results from nerve conduction studies (Kuru, 2014). Changes in vitamin D levels in the blood have been associated with inflammatory diseases, such as inflammatory bowel disease, rheumatoid arthritis, lupus, multiple sclerosis, atherosclerosis, or asthma (Wöbke, 2014). 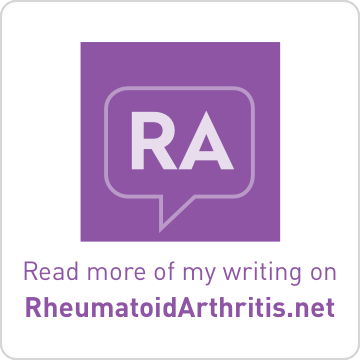 A 2012 meta-analysis, which included eight studies investigating the association between vitamin D and RA activity in 2,885 RA patients and 1,084 controls, revealed that the available evidence indicates that lower vitamin D levels are indeed associated with more RA disease activity as measured by DAS28 (disease activity score in 28 joints) (Song, 2012). Subsequent studies have found the same (Kostoglou-Athanassiou, 2012; Abourazzak, 2014; Hong, 2014). When Cooper alluded in his last post that neither Dan nor I have been writing for our blog, I felt the need to explain what I’ve been doing. It was three weeks ago Wednesday, July 30, that I had Gamma-Knife Radiosurgery. This was the aggressive measure I needed to take in hopes it could control my Trigeminal Neuralgia (TN) and potentially open the doors for an equally aggressive treatment of my secondary-progressive Multiple Sclerosis. For nearly four years I’ve battled TN, a wicked condition related to my MS. While only a small percentage of people with MS have TN, those who get this relentlessly painful irritation of the trigeminal nerve experience it in a very big way. Almost every day and night for the past 48 months I’ve lived with the realities that I couldn’t expect to brush my teeth without pain, eat sweets without wincing, or sleep soundly without the being awakened by a violent sensation of electricity running through my right cheek and molars. Through trials and error and countless calls to my neurologist at University of Michigan Hospital, we found medication – Tegretol and Tramadol – to somewhat control the nerve pain. It in no way was a long-term solution. 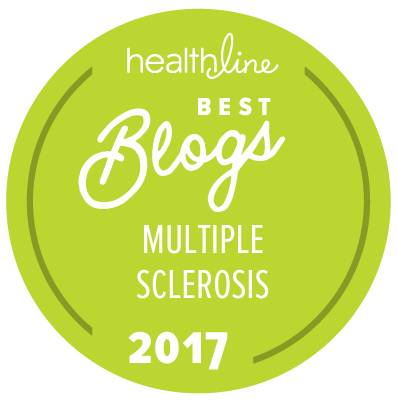 We knew that, but another reality forced our hand to take a more urgent course of action: The TN medication was impacting my white blood cell count that it was preventing me from moving forward with a new MS medication, Rituximab. After lots of research and doctor consultations, we concluded Gamma-Knife was my best bet. Healthline.com explains that Gamma-Knife uses a targeted approach for delivery of radiation that destroys the trigeminal nerve. Also, the procedure is gaining in popularity because of its precision, effectiveness and is considered safer than other surgical treatments. It was on July 9 that I underwent this treatment for my Trigeminal Neuralgia. To increase understanding of this advanced procedure that has the potential to help others dealing with conditions like TN, here is a behind-the-scenes look (some of the pictures are a little oogy!) into my Gamma-Knife procedure at MidMichigan Medical Center in Midland. I was excitedly nervous as I rolled into the Gamma-Knife department. Dr. Mark Jones and his awesome staff mounted a frame on my head to ensure it held still so they had the utmost precision when they used radiation to knock out my trigeminal nerve. See? Mounted on my head … with screws! Yes, it was very painful, but Nurse Tammy held my hand to help me through it. Interesting to note: the metal screws did not leave any marks or scars. Dan got to watch the entire procedure from the patient room in the medical center. Talk about reality TV! It’s over! And hopefully so is my Trigeminal Neuralgia. Doctors warned me it could take between four to six weeks for results. Either way, I’m halfway there. Anyone who knows me knows that I’m kind of superstitious. I don’t like to talk about things before they happen for fear I may jinx an otherwise good outcome. I didn’t tell many people about the procedure before it happened for that exact reason. And even now, I don’t want to jinx a seemingly good result. My pain is not completely gone and I still am taking Tegretol to manage it, but I am starting to feel like me again, sleeping through the night and brushing my teeth … nearly pain free. This concludes the 158th edition of the Carnival. The next Carnival of MS Bloggers will be hosted here on September 4, 2014. Please remember to submit a post (via email) from your blog of which you are particularly proud, or which you simply want to share, by noon on Tuesday, September 2, 2014. The purpose of the study (as I understand it) is to examine social cognitive determinants of physical activity in persons with multiple sclerosis. Many of us living with MS become less active, although we may know that maintaining a certain level of physical activity is good for us. It not only improves our physical function and contributes to better health, but benefits our overall well-being and health-related quality of life. What are some of the factors that influence physical activity? According to the social cognitive theory (SCT), a theory of social learning, key determinants of physical activity include social/environmental supports, self-efficacy, outcome expectations, and self-regulation. SCT helps to explain how people acquire and maintain certain behavioral patterns. SCT argues that individuals who believe they can be physically active (i.e., higher self-efficacy) will expect favorable results from physical activity (i.e., outcome expectations) and will be more likely to implement the self-regulatory behaviors essential to adopting and maintaining an active lifestyle. I wanted to learn more about social cognitive determinants and previous work of the researchers involved in this particular study, so I conducted a quick search of published articles at NIH’s pubmed.gov. 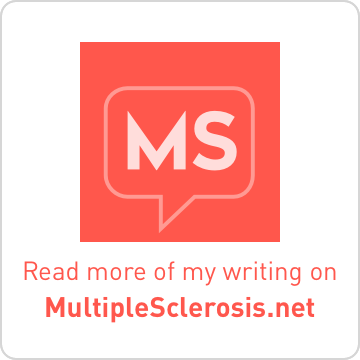 I had planned to list the studies here, but found at least 170 articles related to MS that Drs. Motl and Chiu had contributed to over the past 10 years, too many to list. I did learn that in prior studies related to social cognitive determinants of physical activity, researchers found that self-efficacy, functional limitations, and goal setting had statistically significant direct effects on physical activity in persons with MS and may represent modifiable targets for changing physical activity behavior in persons with RRMS (Suh, 2011, 2014; Dlugnomski, 2011). These papers and a few others that are related to the current study at the University of Illinois are listed at the end of this article. For more information about the current study I’m participating in, and to ask about how you can contribute, please contact Dr. Chung-Yi Chiu by telephone: (844) 800-9972 or email: mspalog@gmail.com. 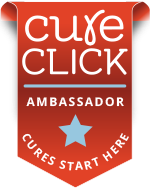 It would be great if we could help Dr. Chiu recruit a large number of MS patients to participate.